YipTel provides Cloud and Premise-Based Call Center Solutions that allow you to focus on your core business. 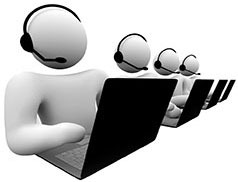 Our call center services include several features and solutions including log In/log out/wrap up agents, music on hold while the inbound customer waits in queues, distribution methods (ring all, round robin, longest idle, liner, circular), reports, analytics, and much more. If you’d like to speak with a representative, please contact our team on 800-886-5369. With our call center solutions comes the ability for managers and supervisors to access important metrics from call groups, call queues, and agents. Within the dashboard comes the ability to monitor, barge in, and whisper so as to ensure complete control over your in and outbound calls. 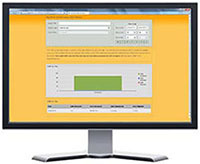 You additionally have the flexibility of downloading statistics again from entire groups or single call center agents. 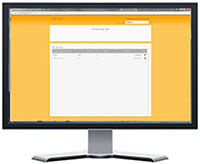 Similar to the call center manager dashboard comes technology designed for agents. Within this simple-to-use dashboard comes basic inbound caller statistics, queue information, log in and log out abilities, and current status. This solution is readily available via the YipTel Desktop Client application. Reporting within our call center solutions is a strong feature. Managers, administrators, agents have the ability to download CSV and PDF reports of filtered statistics. 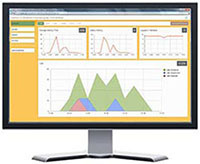 In addition to live, wallboard reporting for internal, day-to-day use comes the functions and features of In addition to live, wallboard reporting for internal, day-to-day use comes the functions and features of agent calling summaries, agent status summaries, call duration, call logs, call recordings, daily traffic, hourly usage, daily usage, user stats, calls by day, calls by queue, and much more. Our metrics are helpfully organized within an online scheduling interface for users to manage, schedule, and filter reports.